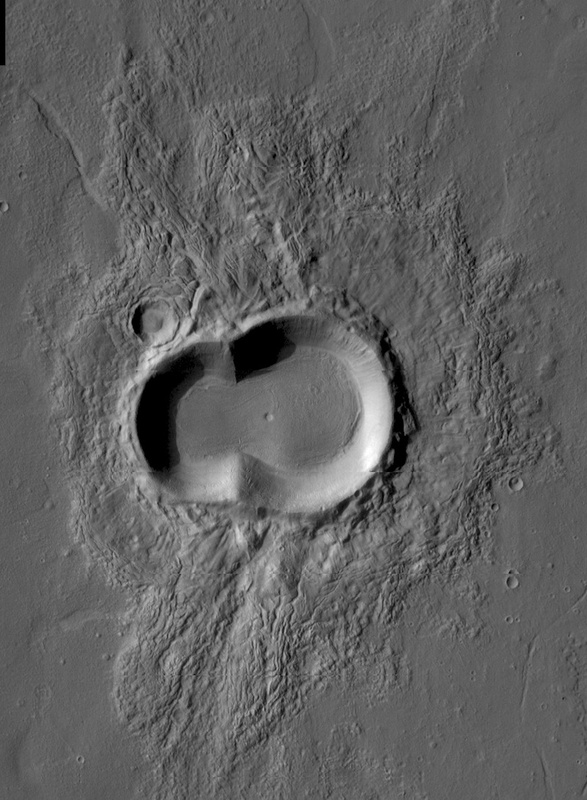 Mars has the greatest variety of impact craters in the solar system. Several factors work together to create this. Mars has been heavily struck by objects coming from the neighboring asteroid belt (and beyond) with all kinds of velocities. This has made craters in a wide assortment of sizes. Second, the subsurface of Mars in many places either has groundwater or ground ice, or it did when the impactors struck. Having subsurface water or ice at an impact site puts extra bang in the impact when the ice quickly changes into steam. (The same holds for CO2 ice which pops into vapor.) Moreover, water vapor mixed into the ejected debris changes how the debris behaves when it lands and how it weathers over time. 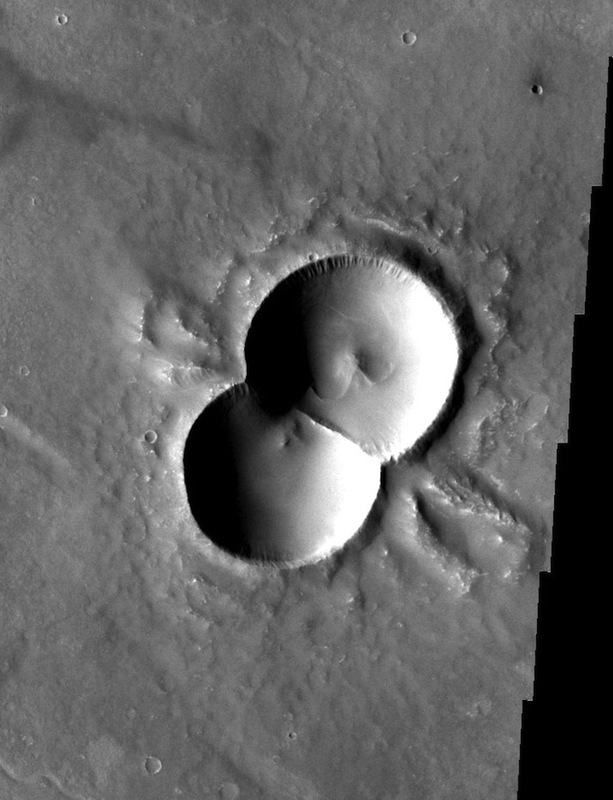 Scientists have identified some kinds of craters that either occur only on Mars or are rare on other bodies. Each kind has something to tell us about the conditions on the planet when it formed and what has happened since.